Some men can't express their feelings. 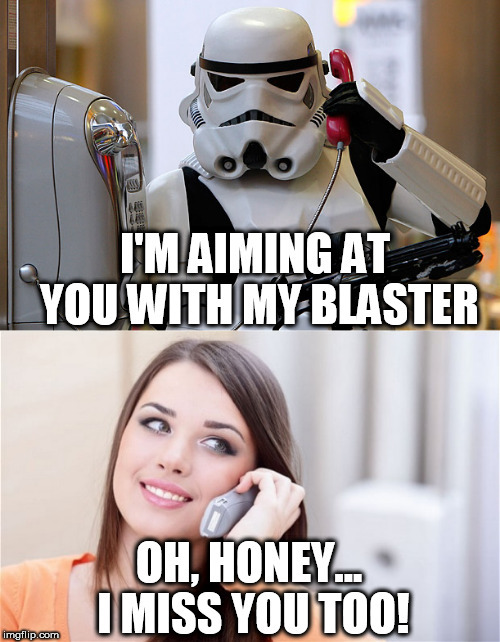 I'M AIMING AT YOU WITH MY BLASTER; OH, HONEY... I MISS YOU TOO!